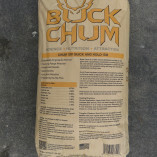 Hercules aims to please, both you and your big game. 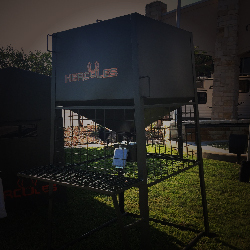 Our heavy gauge American steel feeders are some of the best on the market, and are 100% Made in the USA! 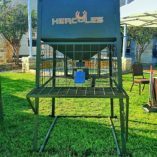 Hercules feeders have a 1,000 lb. capacity, and feature the finest electronic timers that money can buy. 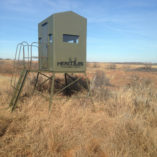 Our feeders are solar powered, for an energy-efficient, small footprint option for deer nutrition. Bear-proof and lockable, our elevated feeders are the elegant solution to the problem of feed distribution and animal tampering. 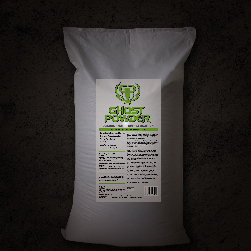 Distribute feed up to 100 feet, then relocate with ease! 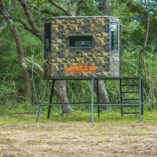 Our feeders are built on skids for ease of movement and getting to new ground. Don’t just take our word for it though! 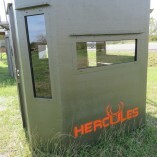 Hercules Outdoor Industries Feeders are the feeder of choice for McMillan Outfitters! 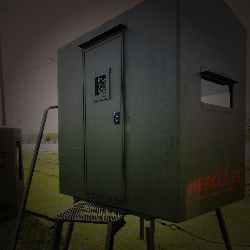 Get the most out of your off-season by keeping your prey fattened up, with a tough and rugged Hercules Outdoor Industries Feeder.